Kankaria Zoo is one of the most visited places in Ahmedabad. We can’t describe Ahmedabad without mentioning about Kankaria lake. This biological park is located near to this famous Kankaria lake. It is also known as Kamala Nehru Zoological Park. This is Gujarat’s first nocturnal zoo which has adopted hundreds of wild animals. It has been open as a zoo since 1951 and spread over the area of 21 acres. Thousands of animals, wonderful surroundings, rare species of reptiles are attracting tourists in huge number. Every year more than 20 lakh people visit this zoological garden. Kankaria biological park timings are different during summers and winters. Zoo remains closed on every Monday. Public holidays and festival season may affect the opening hours. It takes around 3 hours to explore all the places in the park. It is built in the year 1951 by Rueben David. This zoo named after India’s first prime minister Pandit Jawaharlal Nehru’s wife “Kamala Nehru“. This place was honored with the best zoo of Asia in the year 1974. There are more than 450 species of mammals and around 2000 species of birds are present here. Apart from this animals, around 140 species of reptiles which includes snakes, pythons, anaconda can be seen here. Wild animals like Lion, Tiger, Leopard, Elephant, Crocodiles, Monkeys, Deers, Chinkara, Blackbucks are the main attraction in the zoo. Reuben David was honored with India’s one of the most prestigious awards “Padma Shri” for his excellent work. The zoo is surrounded by the serene lake where you can enjoy lots of water sports activities. If you are in Ahmedabad and you have not experienced the boating in Kankaria Lake then surely you are going to miss something special. This Kamala Nehru Zoological Park is an ultimate destination for a small picnic. This place is for all age people. Especially kids will enjoy a lot. They get the chance to know about wildlife. After visiting here, surely your kids will be back to home with lots of adventurous and thrilling experience. The zoo is well maintained. The butterfly park, musical fountain, and water park are some other attractions available in the lake premises. In our review, this is definitely worth watching place which will give you a lifetime experience. Address: Kamla Nehru Zoological Garden, Kankaria, Ahmedabad – 380008, Gujarat. Best Time To Visit Kankaria Zoo Of Ahmedabad? November To February is the best time to visit Kankaria biological park. Try to avoid visiting in afternoon hours during summers. Also keep your sunglasses, cap, water bottle with you. Try to wear soft shoes as you have to walk for long distance. 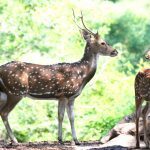 How to Reach Kankaria Zoo Ahmedabad? By Road: Kankaria zoo bus stop is the nearest bus station from the park. Public transport bus service will drop you at this bus stop. You can hire a private taxi or cabs like OLA and UBER to reach zoo from your hotel. By Train: Maninagar railway station is the nearest train junction from the Kankaria zoo. It is located around the distance of 1.4 kilometers from the park. You need to walk for 10 minutes to reach here. You can hire a private taxi or auto to reach here from the railway station. By Air: The nearest airport is Ahmedabad international airport. It is situated around 14 kilometers away from Kankaria zoological park. This airport is connected with the major cities of all over the world. Nal Sarovar Bird Sanctuary: Another tourist attraction located near Ahmedabad. Perfect place to make one-day picnic plan. This is the natural habitat for thousands of resident and migratory birds.